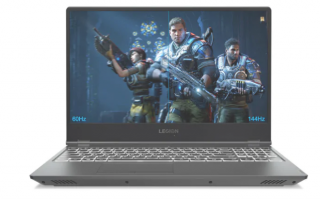 Lenovo Legion Y540 Gaming Laptop comes with Windows 10 Home 64-bit Operating System, 8th Generation Intel Core i5-8300H processor ticking at (1.20GHz, up to 3.10GHz with Turbo Boost, 6MB Cache) clock rate, 8GB DDR4, 2666 MHz Memory and 256GB PCIe NVMe SSD Solid State drive internal storage. Lenovo Legion Y540 Gaming Laptop also has DTS Sound,Integrated stereo speakers, Lenovo True Vision web cam, Microphone, Backlit with Corsair iCUE RGB lighting. The Laptop has 15.6 inch screen size, 361.42mm x 267mm x 22.45mm (14.2 x 10.5 x 0.88 inch) (W x D x H) Physical Dimension and 4.8 lbs (2.2 kg) Weight and 3-cell 57Wh battery. The Lenovo Legion Y540 Gaming Laptop will start Expected Price 900$ in USA when it launches within the Expected release May 2019.